How to watch Pablo Escobar, el patrón del mal: Season 1 (2012) on Netflix Singapore! 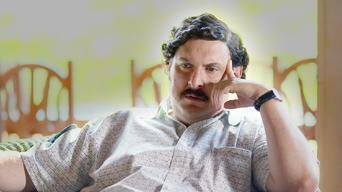 Yes, Pablo Escobar, el patrón del mal: Season 1 is now available on Singaporean Netflix. It arrived for online streaming on October 5, 2017. We'll keep checking Netflix Singapore for Pablo Escobar, el patrón del mal: Season 1, and this page will be updated with any changes. From his days as a petty thief to becoming head of a drug-trafficking empire, this riveting series charts the life of the infamous Pablo Escobar. He built the world's greatest drug empire. And while his legend seems glorious, the truth is far from it. 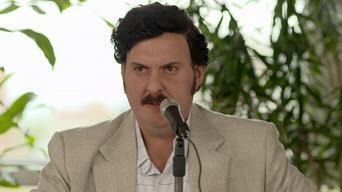 Season 1 of Pablo Escobar, el patrón del mal has 42 episodes. Because different Netflix countries have different availability for episodes, you'll need to check the episode listing below to see which are available in Singapore. Even as a child, Pablo had a head for business. When he grows up, he begins working with El Alguacil and is introduced to the drug trade. 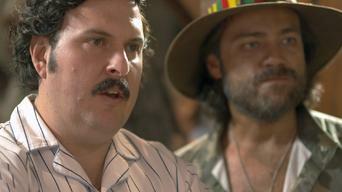 After his incarceration for theft, Pablo decides to enter the cocaine business by purchasing a farm to ensure drug production. 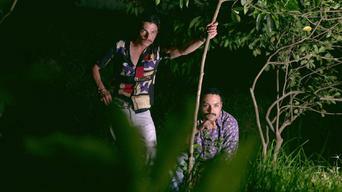 Pablo and Gonzalo are incarcerated for drug trafficking, while Fabio is forced to accept his sister Patricia’s relationship with Pablo. 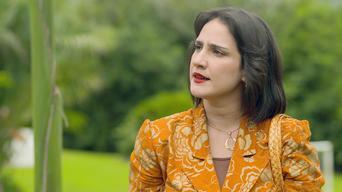 Using the planes he purchased, Pablo ships drugs to Miami, where Graciela handles distribution. Pablo gives his brother an unforgettable gift. Pablo builds Hacienda Nápoles. 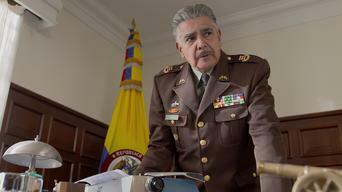 The news of an extradition treaty between Colombia and the United States puts him on high alert. The search for Irma proves fruitless, and the leaders of the organization meet to discuss the extradition treaty. Pablo witnesses firsthand the influence politicians can wield, and he ponders going into politics as a means to seize power. 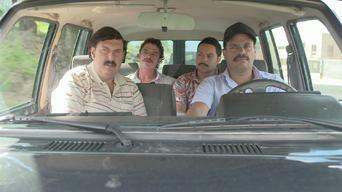 Some of Pablo's partners object to his political ambitions. He begins his campaign for Congress, but the party's leader doesn't want any ties to him. 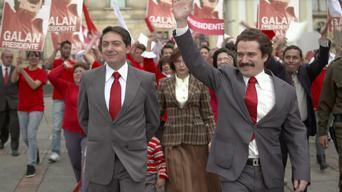 Both Pablo and Galán see victories in the election, but Pablo is already plotting to get rid of his adversary. Pablo takes office. Rodrigo Lara is appointed secretary of justice and uses the opportunity to make a statement against drug trafficking. 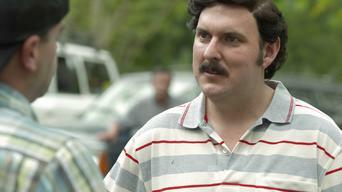 The newspaper publishes evidence linking Pablo to drug dealing. Meanwhile, Rodrigo is accused of having ties to the Mafia. Pablo resigns from his seat in Congress and orders Rodrigo's assassination. 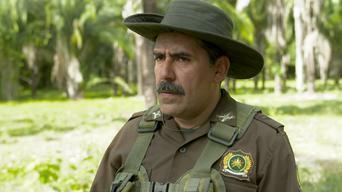 The National Police take down a huge cocaine laboratory in the jungle. Rodrigo is murdered on Pablo's orders. 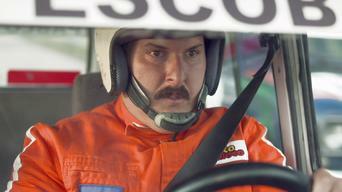 Hunted by the police, Pablo is forced to go into hiding. 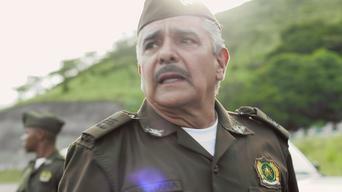 Col. Jiménez learns who was behind Rodrigo's assassination and searches for them all over Medellín. Pablo's mother, wife and son flee Colombia. 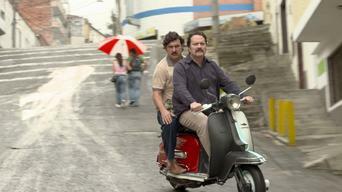 Pablo and his associates hide in Panama while the police search for them in the wake of Rodrigo's death. Pablo bullies and bribes several agents of the police to obtain their protection. A pilot who works for the cartel gives the DEA compromising photos. The guerrilla group takes over the Palace of Justice, leaving civilians, police officers and some of their own members dead. Judges are assassinated and threatened for their attempts to bring Pablo to justice. Marcos Hérber escapes the police. Judge Zuluaga is assassinated. Pablo smuggles cocaine on commercial flights. 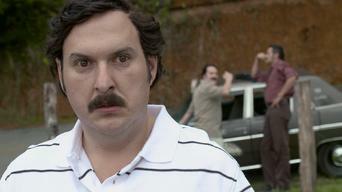 The U.S. activates the extradition process for members of the cartel. Marino discovers the colonel's informant. The Supreme Court rejects the expulsion law. 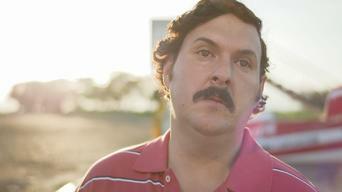 Pablo learns that his mistress, Yesenia, is pregnant. The cartel dealers publish a statement. Meanwhile, Pablo orders Yesenia to get an abortion. Jorge assassinates the reporter investigating Crisanto, while Chili and Topo await the right time to attack the colonel. The colonel's death is met with celebration back at the hacienda. Jorge is in serious danger and fears for his life. Jorge is murdered by Marcos. Maj. Aristides arrives at the farm with a search warrant, much to Pablo's chagrin. 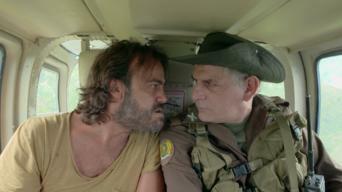 Pablo gives the order to kill Guillermo and worries about the situation with Chili and Marcos. The Medellín cartel assassinates the editor of El Espectador, and Marcos celebrates the news. The media and the nation are devastated by the cartel's latest hit. Once again, the Supreme Court rejects the extradition treaty. 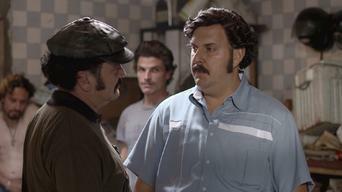 Pablo changes his mind and decides he wants to turn Marcos in to the police. Meanwhile, his men threaten Crisanto. Betrayed by Pablo, Marcos becomes the first drug trafficker to be extradited to the United States. 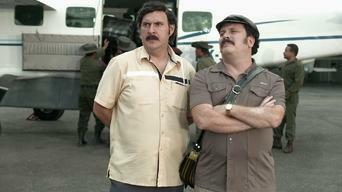 Pablo's men free Cain and Kiko from jail using a helicopter. 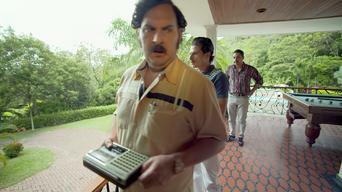 Pablo must leave his house to evade capture by Col. Pedregal. Pablo kills Correa and Hernan, the men who clashed with Gildardo. But Mauricio, one of the partners, is looking for his friend. 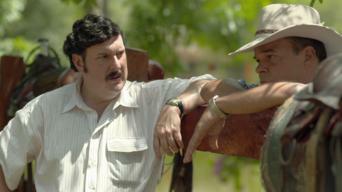 Pablo decides to kill Mauricio to be done with Hernan, while the Medellín cartel declares war on the Cali cartel. 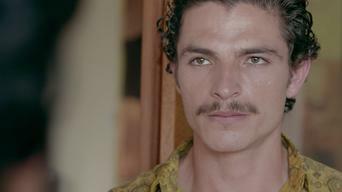 While the Cali cartel prepares to strike, Pablo learns about the relationship between Marino and Yesenia. 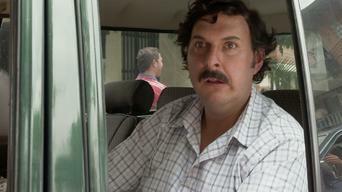 The cartel worries about the possibility of Pedro being extradited to the United States. Marino plans to escape with Yesenia. The Cali cartel goes after Pablo, but he evades them. The secretary of justice finally gets the orders against the Motoa brothers and Pablo. 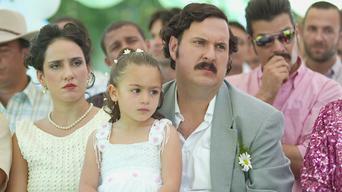 Pablo's family suffers the consequences of the Cali cartel's attack. Pablo's men kill Col. Pedregal and make an attempt on Maj. Aristides's life. 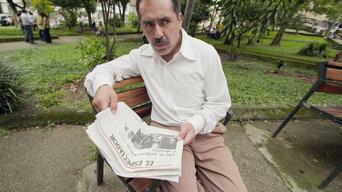 Pablo kidnaps Andrés Pastrana, a candidate from a powerful political family. Patricia and Enelia worry about their living situation. The police free Andrés Pastrana, but the country's attorney general is kidnapped to keep pressure on the government to not accept extradition. A law to ban extradition goes before Congress and is supported by Sen. Santorini, an ally of Pablo. After Congress rejects the proposed law to forbid extradition, Pablo decides to take revenge by having his political enemies executed. Pablo and the Mariachi plan to murder Galán. Magistrate Garcés Bernal is assassinated under Pablo's orders. Col. Quintana decides to stop using his bodyguards and walk among the people to distract the enemy. Pablo and his men plot to assassinate Galán.